Increasing access to quality education is one of the central goals of the Tana River Life Foundation. From providing bursaries and lodging to capable but underprivileged rural students to assisting local schools’ by providing furniture, facilities, transport and technology, the Foundation seeks to support students in the Tana River area by tackling the main problems facing rural education. It is night in Idsowe village. Most of the light comes from kerosene lamps peering out from thatched huts, the occasional torch, the moon and stars, and the few houses with Kenya Power. Near the heart of the village however, burns a steady light, visible from kilometers away. Approaching it from across the sandy path, one sees that behind the dusty metal gates of the Foundation house is seated a handful of students on foldable metal chairs, school materials on dark blue MOE desks in front of them. Heads are bowed in concentration under large electric lamps. A student raises his hand, evidently stuck on a mathematics question. John Keller, a participant in the Youth Formation Program steps forward and shows the student how to work out a logarithmic expression on pen and paper-the old school way. As he returns to a seat near the corner of the garage I ask him if he’s usually helping here. Giving a characteristically light smile, he nods in the affirmative. 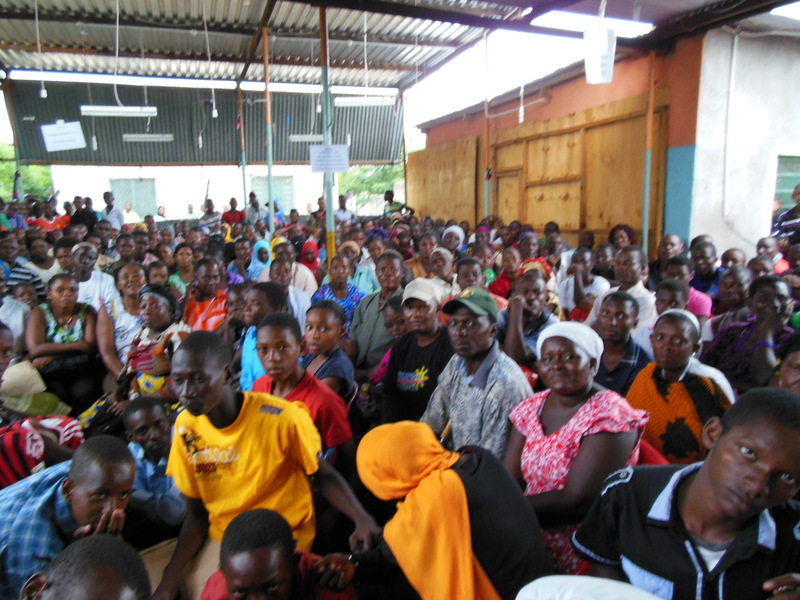 From as early as 6am, students and their parents began passing through the entrance to the Tana River Life Foundation’s Idsowe house, forming a crowd several hundred strong. Among the assembled were members of Idsowe village as well as those who had to travel through the night from more remote areas. At the start of every semester, students from the area gather to apply for bursaries with the Foundation. According to Gabriel Teo, the founder of the organization, “We (The foundation) consider both merit and need when we give out the bursaries”. Students have to provide a copy of their academic transcripts to apply, and any parent wishing to appeal for a bursary based on extenuating circumstances can do so in the weeks ahead. Bursaries are not the only form of assistance rendered during the session. After the applicants have filled and handed in their forms, and refreshed themselves with tea brewed by our youth volunteers, several senior members of the foundation took turns to address the crowd. Bendecto Komora, employee of the organization and an alumnus of the first batch of students assisted by the foundation took to the floor first. In Swahili and English, he encouraged students and parents to keep striving in the face of failure and adversity if they are to become empowered to shape their own lives. In addition to providing bursaries and studying and living facilities to students, the Foundation also works closely with government schools in the area. The road to Garsen High School is long and dusty. 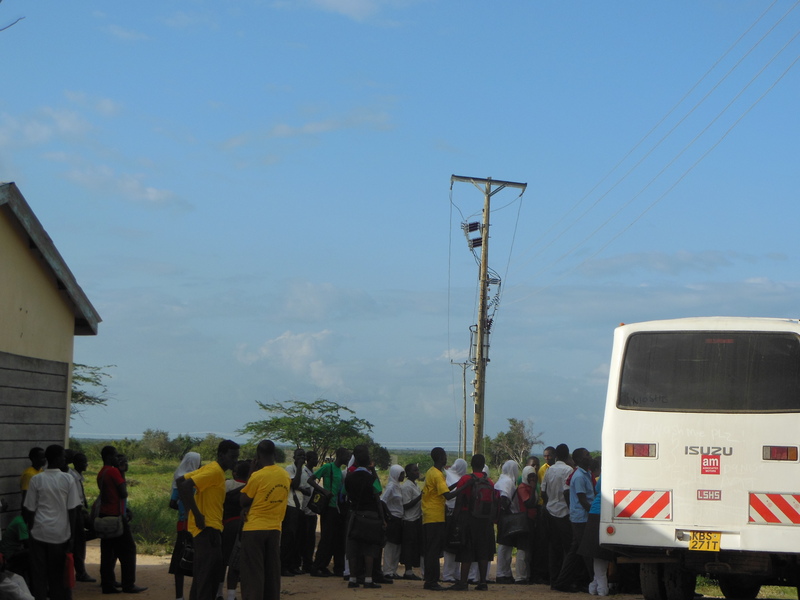 Many students and staff take the buses the Foundation provides from Garsen town and the surrounding villages to school. After ten minutes of travel on a dirt track off the main road, bush and sand dunes give way to a large clearing where a cluster of lightly painted buildings stand. As we approach the principal’s office, temporarily housed in a small building with the sign “Girls’ Dormitory”, we pass a baying goat tied to a small tree out in the porch. According to Keller, that’s school fees. In the building we were greeted by Mr Benjamin Sholo, the head teacher of the school that has the highest enrolment, charges the lowest fees, and the highest academic standing of all the high schools in the area. Mr Sholo greeted us with a warm smile and invited us to sit. After exchanging pleasantries, he shared with us that the enrolment of the school has grown from 200 in 2007 to the current 528. Mr Sholo said that the Foundation currently provides 200 of its students with some form of financial assistance and transports the bulk of its student body to and fro school with its buses. According to him, the Foundation has also helped provide technology and furniture crucial to the running of the school. Gesturing towards the desktop computer that sits atop his desk, Mr Sholo added that that was one of the ten computers donated by the foundation. According to Mr Sholo, before the school instituted the food program, “You see the numbers (of students) slowly get reduced through the day. By 10a.m you have a certain number, by the afternoon its lower, and by evening its even lower.” But after making free breakfast and lunch part and parcel of the school, many more students attend and remain in school. “Now, even if the students want to play truant, they still show up at the break times to have food”, joked Mr Sholo. On a more serious note, he explains that most of the students here come from disadvantaged families that struggle to make 3 meals a day. Having food on campus makes it possible for the students to attend school, and ultimately benefits the marginalized the most. As we toured the school compound, surveying the newly built science labs and classrooms filled with the white-and-brown uniforms of Garsen students, Mr Sholo shared with us his belief in education for girls. We rounded the last school building where a class of Form 1 (or Secondary 3) students sat in neat rows, listening with rapt attention to a Biology lesson. Mr Sholo rounded off our visit by thanking us for our time, and closed off with his broader vision for education in Garsen. He believes in a “Prosper thy neighbor” approach to development-that improving economic conditions through access to education is crucial to eliminating the social ills that threaten peace in the area. The ethnically diverse High School which enrolls children from both the Pokomo and Orma tribes and has teachers from different parts of Kenya, served as a safe haven during last year’s ethnic clashes. “We don’t stand on one side”, Mr Sholo said. He added that the school’s enrolment increased after the clashes died down and news of its reputation spread. The rumbling approach of the Foundation bus interrupted the chorus of cicadas. It was getting late, and time for us Singaporean visitors’ to return back to our lodge. We said our goodbyes to the students and to Gabriel and boarded the bus. When we were at the edge of the village I turned around and noticed that the light from the garage was still shining, and thought that Joseph Keller was probably still sitting there, watching over scribbling students determined to be authors of their own fates. Across the country in the cities of Mombasa, Nairobi and Eldoret, in small, modest houses rented by the Foundation, bright, ardent lights hum and glow into the night. “Recently released from the army, Rocco spends his time reading, watching plays and volunteering. He also writes fiction, drama and journalism sporadically. He is currently studying the liberal arts at the Yale-NUS College. 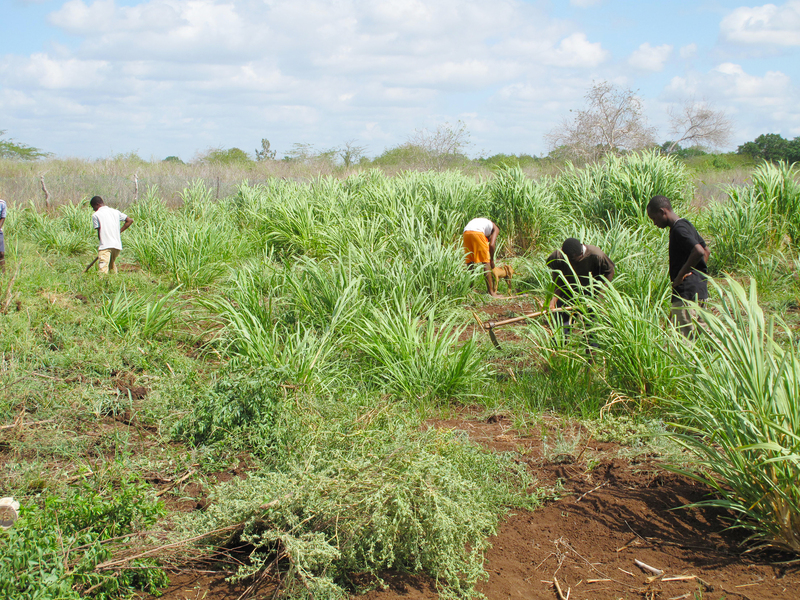 The Sustainable Agriculture Project was started by the foundation in 2010 to establish a model food garden that would be environmentally sustainable in the semi-arid land of the Tana Delta. 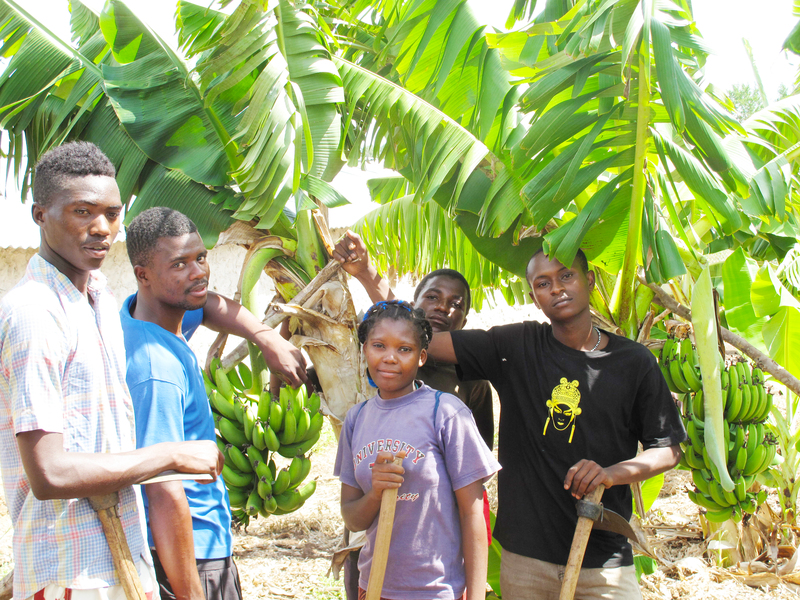 It educates the local youth on methods of improving food security and alleviating poverty. With the newly acquired knowledge, they were expected to be catalysts in their rural communities, improving household nutrition and generating additional income. This benefits both the current and future generations, while promoting the sustainable and integrated development of communities. The current batch of youths under formation have proven to be more responsible than their predecessors. 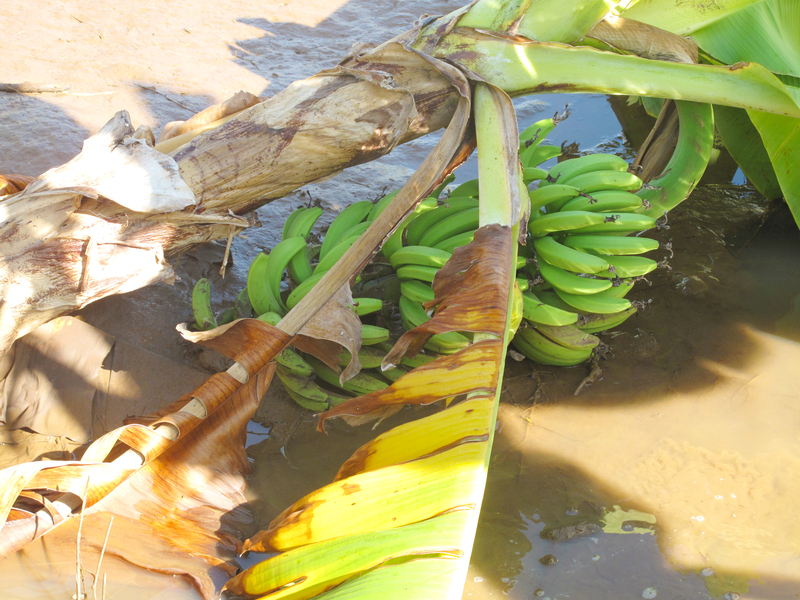 The farm was flooded in May and June, and they spent many hours repairing and replanting. 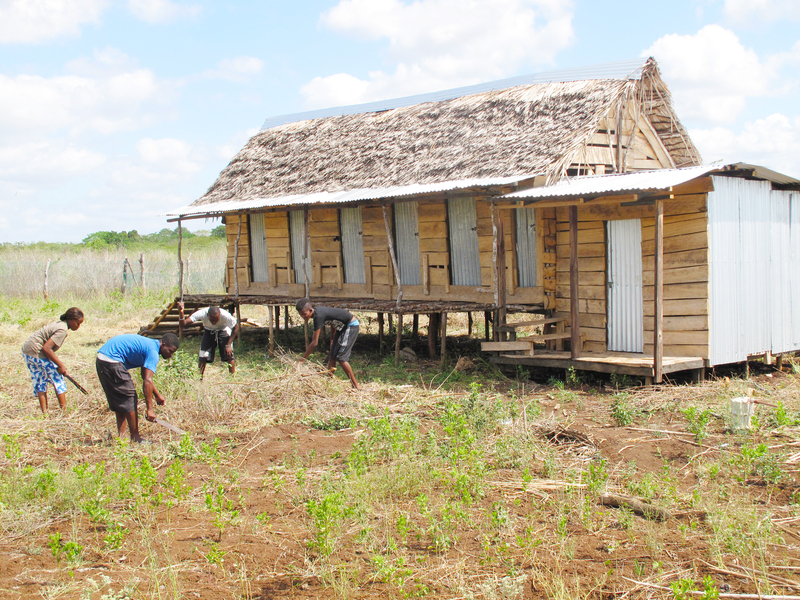 Through their hard work, there has been a great improvement in the farm in the short period between July to October 2013. They are now able to run the projects independently with minimum guidance while attending to all necessary maintenance tasks. Starting September 2013, two of our former beneficiaries have been providing them with technical training in poultry, bee, fish and livestock keeping. 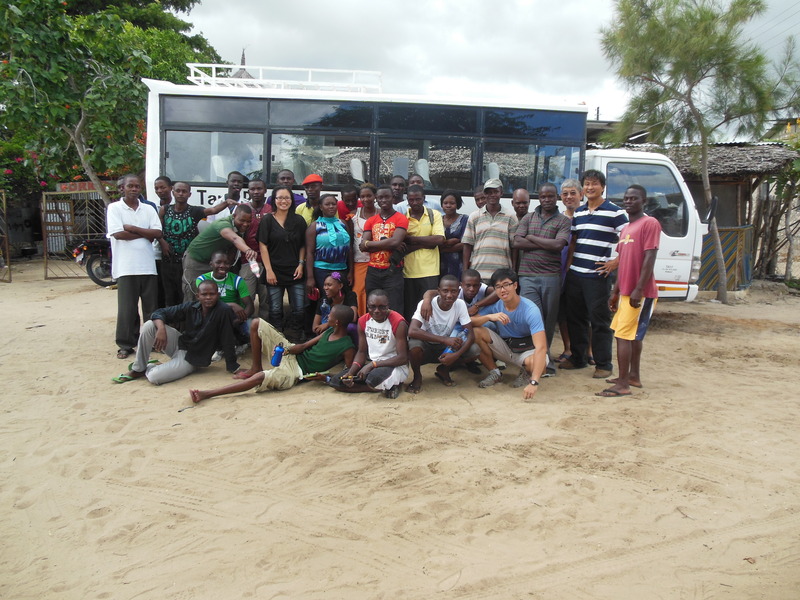 In addition they were sent to Malindi for a 1-day course in rabbit keeping. They plan to start that project by December 2013. We have since discovered that the project is an excellent tool in the formation of the moral character of the youths. They learn and appreciate the benefits of hard work. It helps them understand that focused effort is required on their part to improve their lives. Continual improvements through the adoption of modern and scientific methods are also important. It changes their attitudes towards sponsorships and donor assistance. They better understand the need for self reliance to improve their lives instead of just waiting for help to come along. It also helps them learn to work together in small groups, and to be fair to and responsible to others. These are key lessons if they are to become community leaders in the future. Currently local communities lack honest and generous leaders. This project has helped to change that mind-set amongst the youth inculcating a greater spirit of fairness and generosity. 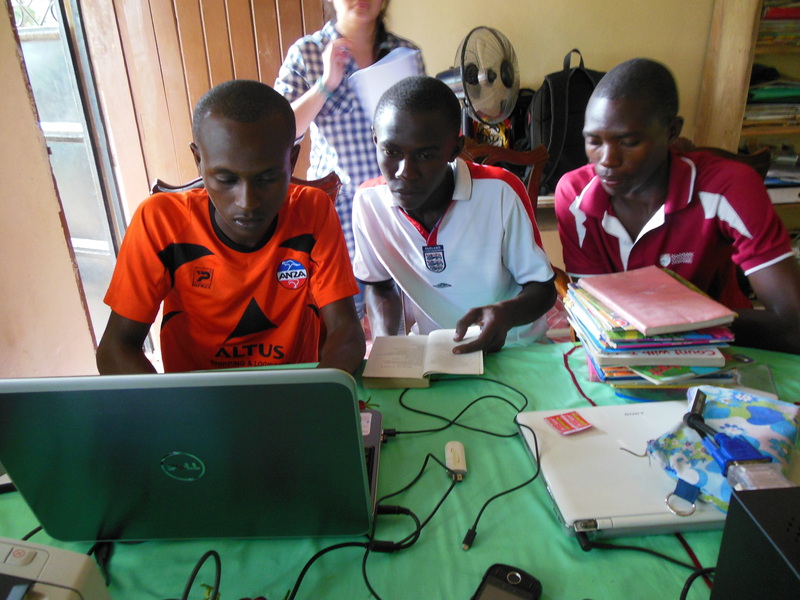 The project also gives them invaluable training in handling their own finances in a responsible way. From having to ask for money for a simple haircut, they have found themselves able to buy the first mattrese their mothers have ever had in their entire lives through the sale of vegetables. Many of them have been able to save and plan for their personal expenses, and regularly contribute to their families’ food budget. 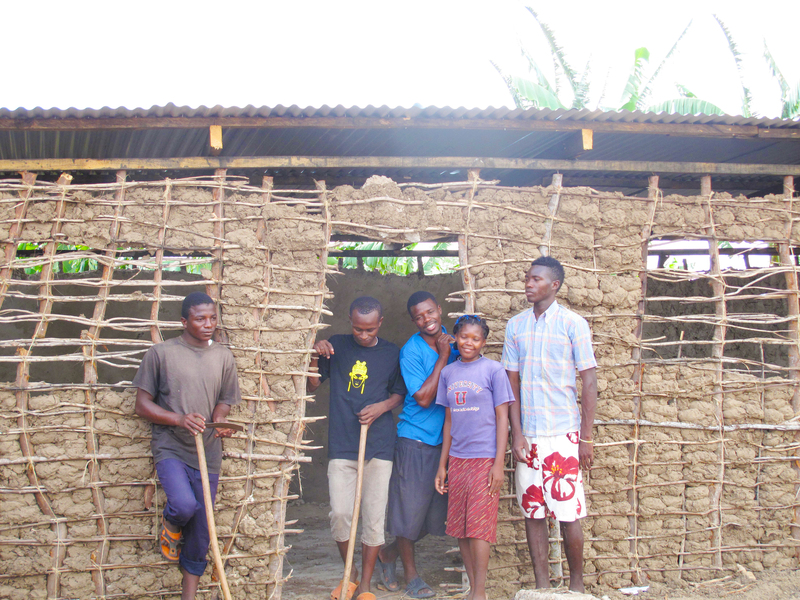 The youths have discovered the importance of self-reliance and diligence towards achieving a better quality of life. They have learnt and internalized accountability. The foundation is grateful to Wesley Methodist Church Singapore for their continued support on this project. If you are would like to find out more about this project, please contact us at tanariverlifefoundation@gmail.com . Gabriel Teo, founder of Tana River Life Foundation, was invited to be the guest of honour at the UTAR Convocation in August 2013. He addressed the graduating students and offered them insights into his world. Here’s a selection of press coverage of the event.